A Note from HQ: Sasha put together this incredible deep dive into why Education is a focus for us in Mexico. Sasha was simply a fan who reached out and wanted to do more, and now she’s telling a powerful story and giving great resources for our supply drive. You can even send your donations to her! Please read on and prepare to be so motivated to do good for these kids. While traveling to other countries it is important to be mindful of the community you are visiting. Giving back to the locals is a wonderful way to learn more about other cultures. A beautiful vision of the Be Interactive Family, is uniting Bassheads from all over the world to help make a major difference, as demonstrated in the local community where this year’s event is taking place: Riviera Maya, Mexico. While at Deja Voom, everyone is there to get wild on the beaches of this warm coastal town, but we also know that everyone coming together can make such a huge impact, through simple acts of kindness such as this: Be Interactive is planning a supply and book drive for a local elementary school called the K’iin Beh school. This school is bringing futures full of potential to 5-12 year olds and they have limited resources to serve a large population of children. Be Interactive intends on donating various types of school supplies and books for the children at the school. BUT to manifest this act of love we need your help! 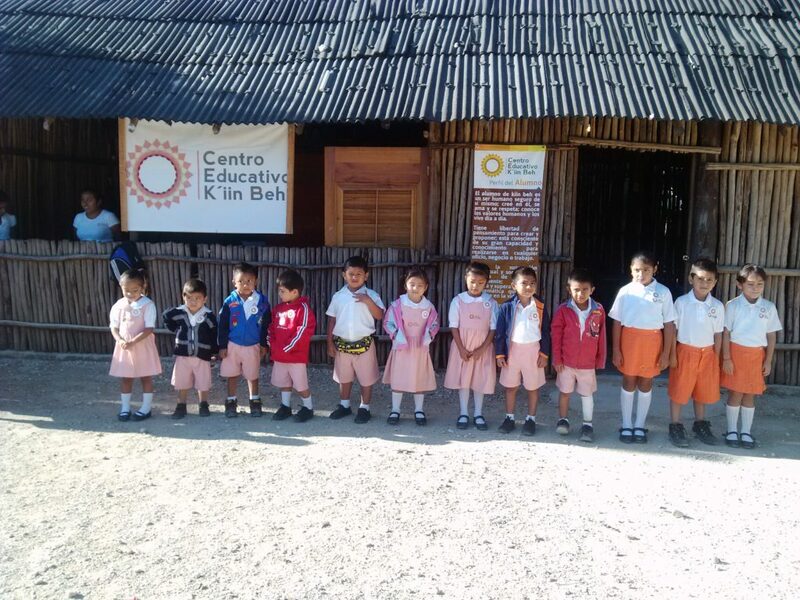 Simply put, the children at the K’iin Beh school need books. Specifically, Spanish books are recommended, so the children at the school can read and understand them easily. English books are also encouraged. The books themselves are for children ranging from 5-12 years old (so please keep their age in mind when purchasing supplies and books). There are various websites online that sell Spanish books and you can always visit your local book store and keep your money supporting your local economy. An amazing website provides a wonderful list of the top 50 Spanish books for kids. Once on this page you can scroll down to view a list of the books. It is a nice tool for picking out Spanish books, because it allows you to see the title, as well as the picture of the book, giving you an idea of what the book will be about. Finally, to purchase a book if you prefer using Amazon you can click the picture, and you’ll be redirected to a new link to purchase. School supplies that are needed in the classroom include backpacks, notebooks, crayons, normal and colored pencils, markers, glue, paper, pens, rulers, geometry sets, and erasers. These school supplies can be purchased at stores in your local community. Any type of donation provides an outlet for children to briefly escape the reality of poverty by allowing them to focus on their art or get lost in a book, and even this can make a big difference in a little person’s life. If you can have your donations in the mail by February 15, you can mail them in advance. It is completely understandable to not want to fly with donations, and that is why there is a way for you to donate before even leaving the States! Please mail donations to me (Sasha) at 17291 Lake Park Road, Boca Raton, Florida, 33487, and have them in the mail no later than February 15! If not, bring your donations to Deja Voom! There is also an option to donate once you’ve arrived in Mexico. You can donate in Mexico by bringing your donations to check in when you arrive. 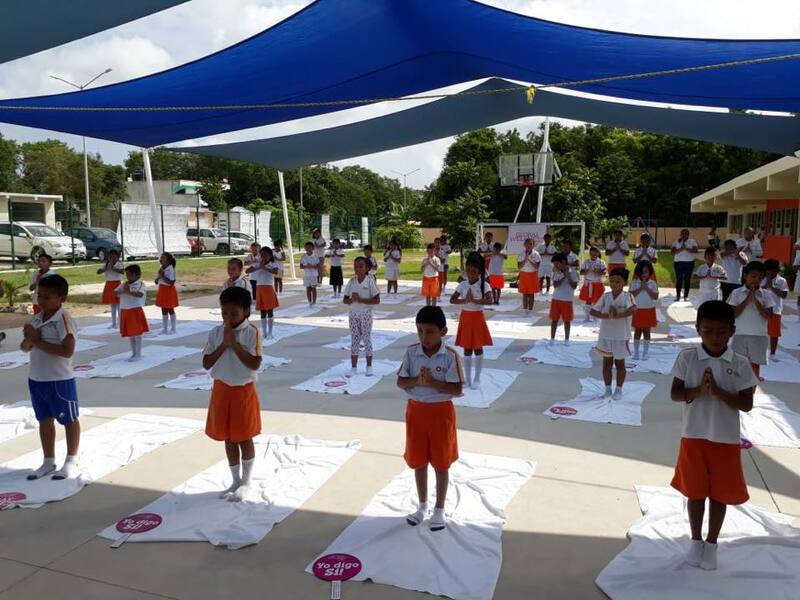 Education in Mexico is very different than in the States. A lot of schools do not have access to clean water, appropriate ventilation systems, or transportation for students. Like in the US, many schools struggle to provide supplies. Schools are forced to work with what they have and try their best at providing a fair education for all the children. This is extremely challenging when not enough resources are provided and it sadly has a negative impact on the children’s education. A lot of these children are illiterate and might not ever get an opportunity to attend school. This has a roll-over effect into communities since children grow up to become adults with little education. That is why it is extremely important to motivate and provide equal opportunities for children to give them a chance to learn and fulfill their dreams with a beautiful foundation of knowledge and skills. Therefore, we are passionately moved to donate a large amount of supplies and books to help produce an impact of gratitude, happiness, and learning. Please donate to this beautiful cause and help us make a difference. 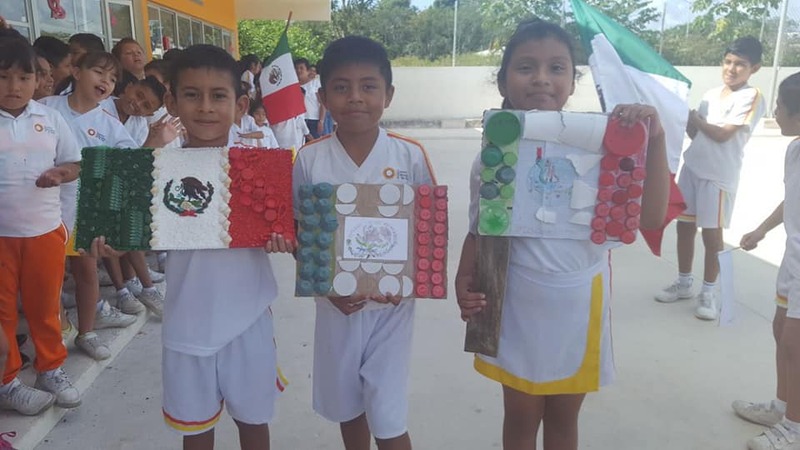 To find out more visit the links below to learn more about education in Mexico. There are other ways to give back to the community while in Mexico. One great way is by supporting local family-run businesses. This helps generate an income for families in the community, which is greatly appreciated by the locals. Another great way on how to give back is by leaving no trace. Often travelers go to a different country and aren’t very mindful of their environmental footprint. It is very important to clean up after yourself and your friends, not only is it good for the community, but it is also good for the environment and appreciated by the animals. Reusable cups and glasses are highly recommended, as well as the use of biodegradable glitter. Now sit back and close your eyes, and imagine… a little boy or girl running around their school reading the book you donated. The children are smiling, laughing, and learning a lot while sharing the knowledge with their friends. Imagine a little kid drawing a beautiful picture with the crayons you donated and running around and showing off his artwork to his friends. This is the type of effect we want to create from our gathering in Mexico. This is what Be Interactive envisions when planning and coordinating the book and supply drive, and we need your kind donations to manifest this vision into reality. Below is a video created by the K’iin Beh school. In the video, they talk about how some families do not have electricity, clean water, or secure homes. They also mention how some children must walk up to one hour and a half to get to school every day. They talk about the accomplishments they’ve made in building the school and being able to provide an education for children in need. Then kids talk about what they want to be when they grow up and one little girl says she wants to be a veterinarian. It is a beautiful thing to have goals and we hope our donations can help inspire aspirations and motivation to accomplish their dreams. Thanks for reading. See you in Mexico!